This Italian-made, all-stainless steel destemmer with centrifugal must pump is an all-in-one unit perfect for the small or mid-sized winery. 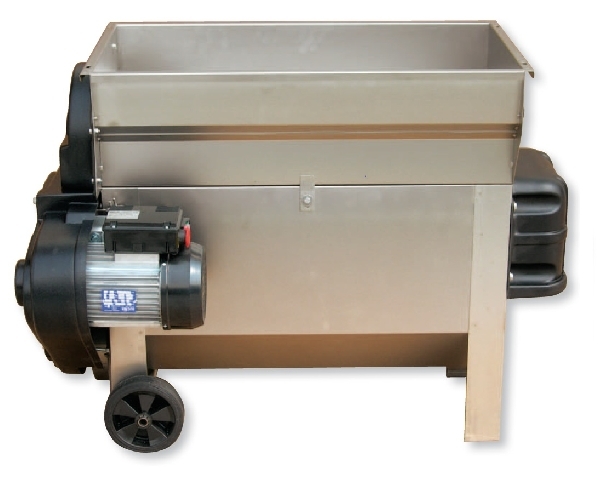 This machine processes up to 3.3 tons of raw grape product an hour, utilizing its 110V, 60 Hz, 2.5 HP, 1400 rpm motor. The destemmer shaft paddles carefully remove stems and an integral auger feeds your grapes and fresh must into the stainless steel centrifugal pump, which provides a more gentle crush than rollers to avoid extracting stringent tannins. 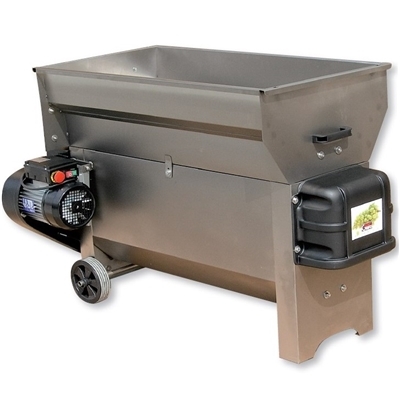 This model’s wide-loading hopper, built-to-last construction, and powerful motor make it a fantastic choice.